It started with a simple English keyboard layout in HTML and CSS that would visualize a parsed configuration file for a video game. It later turned into a vision that included writing my own markup language to work with this keyboard. Originally built for the game, Nexuiz, this keyboard configuration editor uses a markup language I've dubbed KBML (Keyboard Markup Language). 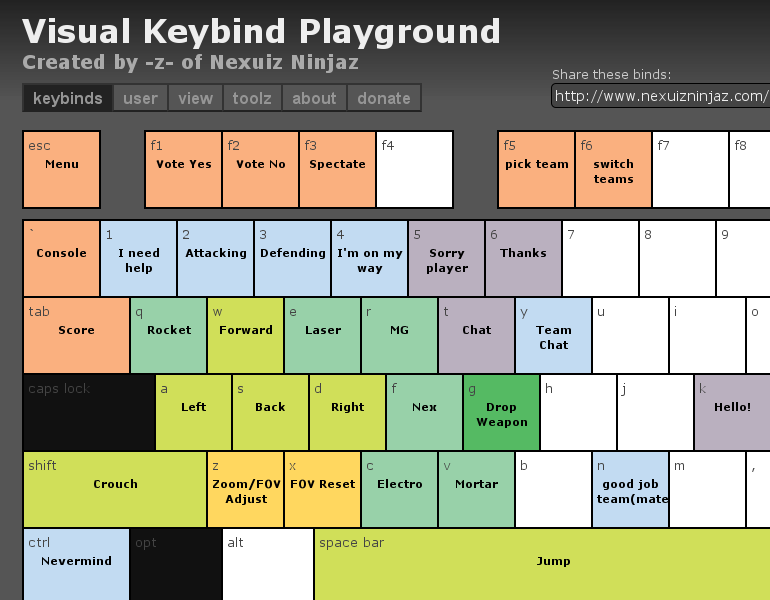 The intention of this application was to help players visually explain keybinds they shared, similar to how a console game's controller guide would. Built the underlying framework. Helped define the format of spreadsheet used for initial import. Wrote parser to import data into a normalized database. 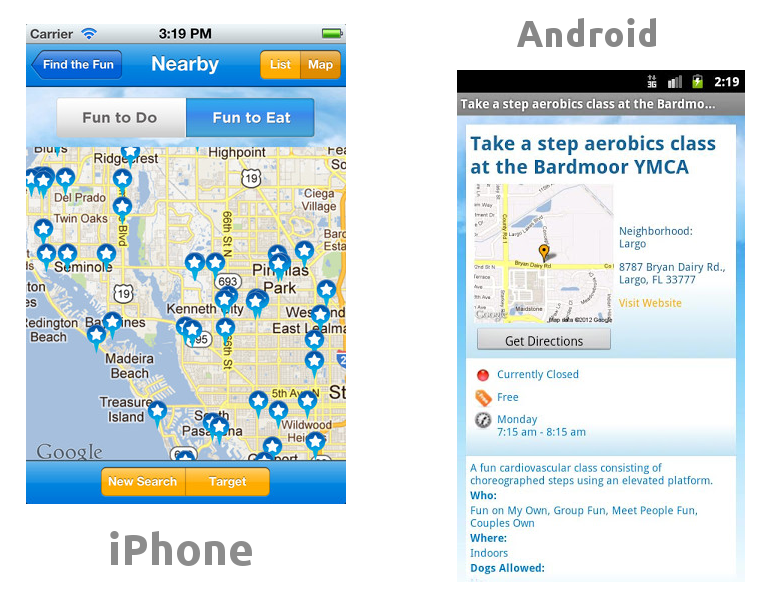 Created iPhone and Android applications that interface with website's API, using Appcelerator. Delegated tasks to team. A radial search engine based on zipcode, neighborhood or geolocation (using the iPhone or Android app) for a campaign focused in Pinellas County, FL. Read the case study. Winner of a Silver Addy in Tallahassee for the overall campaign. Built the underlying framework. Wrote most of the front-end and back-end code. Worked closely with designers on various interaction design. Delegate maintainence. 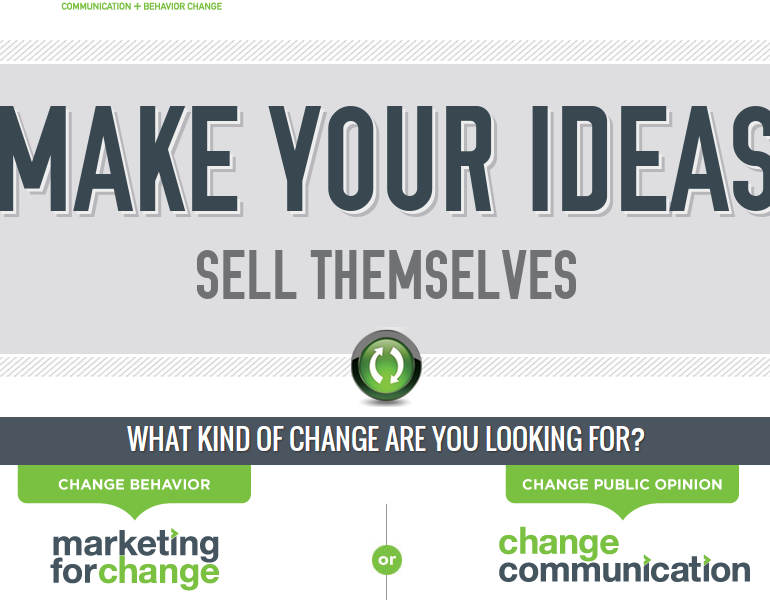 A firm that specializes in change, needed to change themselves, bringing their website into the 21st century. The redesign received recognition from HOW design and won a 2012 Gold Addy Award in Tallahassee. Designed the documentation page, the plugin CSS and coded the whole thing up. Wrote all the copy and documentation. A jQuery pagination plugin that has been designed to be more flexible than existing plugins by using counts instead of wrappers to define pages. 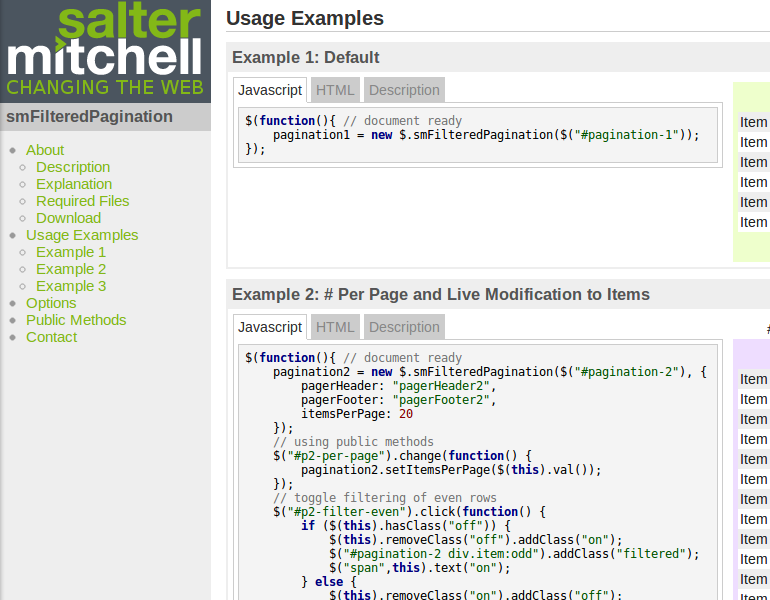 This allows for items to be filtered dynamically without changing the number of results per page. I found a game based on Quake that I really enjoyed but I what made me hesitant to try it in the first place was their dated website and a lack of brand. An overhaul of their website, brand and SEO. Designed a website to draw users in, explain what the game is, what it looks like, how it plays and use power words to market this gem. The project has since forked to Xonotic where I continue to contribute to this wonderful open-source game and community. A video game has gotta have a nice looking forum for its users to communicate on, doesn't it? 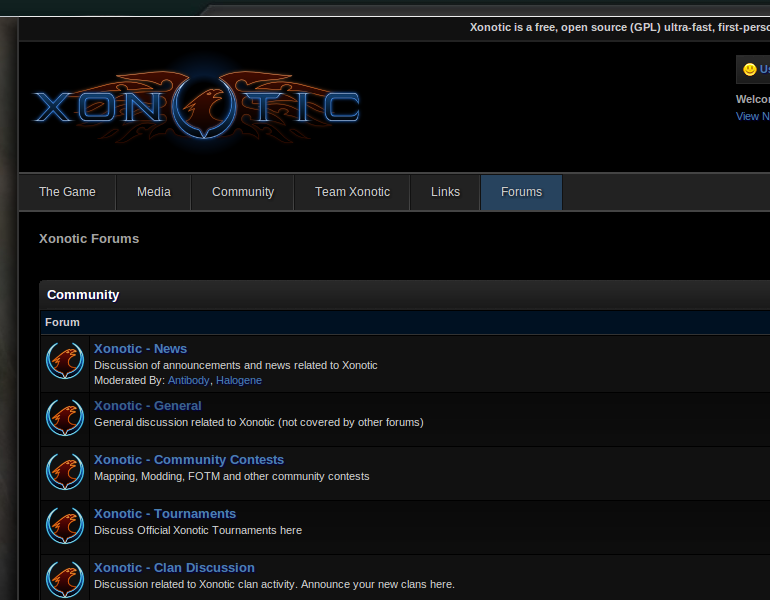 For the Xonotic forums, I chose the software used and created a theme to match the WordPress homepage theme, designed around the logo concept developed by a forum user. Created iPhone and Android applications to interface with website's API, using Appcelerator. 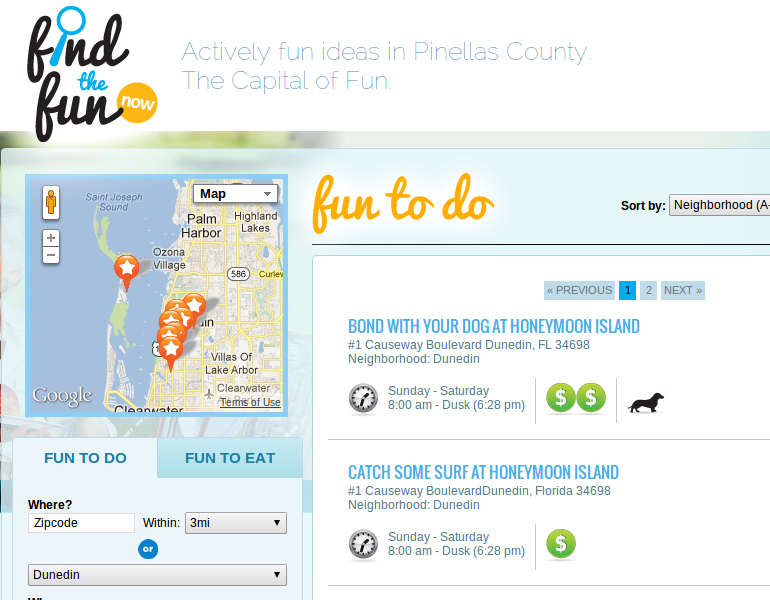 A radial search engine based on zipcode, neighborhood or geolocation for a campaign focused in Pinellas County, FL. Read the case study. Winner of a Silver Addy in Tallahassee for the overall campaign. Visit the website for links to the app. Sometimes you need to quickly take a screenshot and upload it, edit it or perform some sort of action. That's what motivated me to write this Python script that integrates with notification-daemon. Read more about my struggles with the changing landscape here. Video shows compiz's newspaper clipping style screenshot, which triggers my python script that interfaces with notification-daemon and asks the user if they would like to securely copy the image to the server. Upon completion another notification pops up with a link. Super-fast screenshots. Powered by 8 AA batteries and a sound-activated controller, these shoes light up the night. The blazer uses 25 feet of Electroluminescent Wire powered by 8 AA batteries with a sound-activated controller. The Headdress is on a 4 port sequencer powered by 4 AAA batteries. 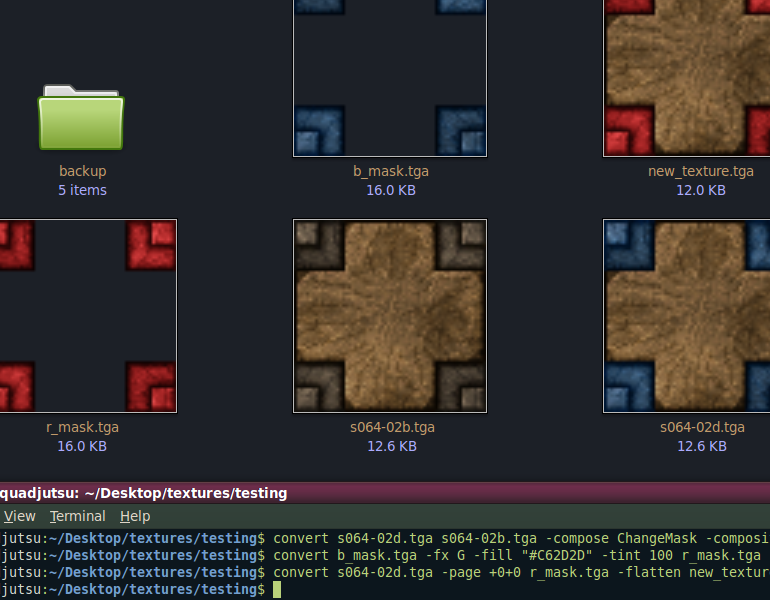 High quality egyptian styled textures were released under the GPL. They had a set of blue tiles but no red. I used imagemagick to generate the corresponding reds. Read the explanation thread for a breakdown. This image would be generated hourly on the gameserver and rsynced over to a web-server with a static image name. This script was written using PHP and gdlib. Tyler J. Mulligan, a nerd with a hankering for very odd puzzles. A recent experiment was abz.z0rz.me, which pushed the maximum length of a domain name while using an exponential growth in the number of characters as it neared the maximum 63 character zzz...me limit (more information on github). I love UX design. 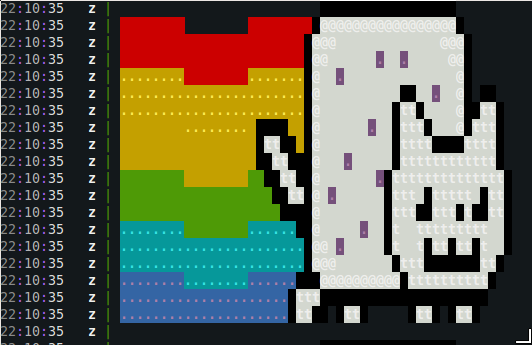 I have a strange addiction to writing bash. I've recently started playing around with some "Android TV boxes" that are quite amazing... MX2. Contact me z@xnz.me if you have any questions. I'm a jack of all trades when I need to be but my best work is the "Bigger Picture Idea" with the plan built out and a team to help me execute. I have plenty more I want to add to this portfolio but haven't had the time to get specific yet, the more astute reader will be combing through the source-code and see where I left notes for myself. Here is a very early, almost embarassing adaptation of Super Mario Bros 1-1 to the darkplaces (Nexuiz) game code, using NetRadiant to map it, textures refabricated in GIMP and Inkscape, all sources available.